Really interesting article. Regarding your classification of MD, IE and WD as PIEDS, would you not consider CEs to also fall into this category also? Drugs such as methylphenidate and modafinil are on the WADA in-competition banned list as stimulants. Prescription stimulants, such as those used to treat ADHD, could be used as performance enhancing drugs if the goal is to improve concentration in athletes. Thank you for your comment. You are absolutely right that certain cognitive enhancers could be used as a performance enhancer in sport. 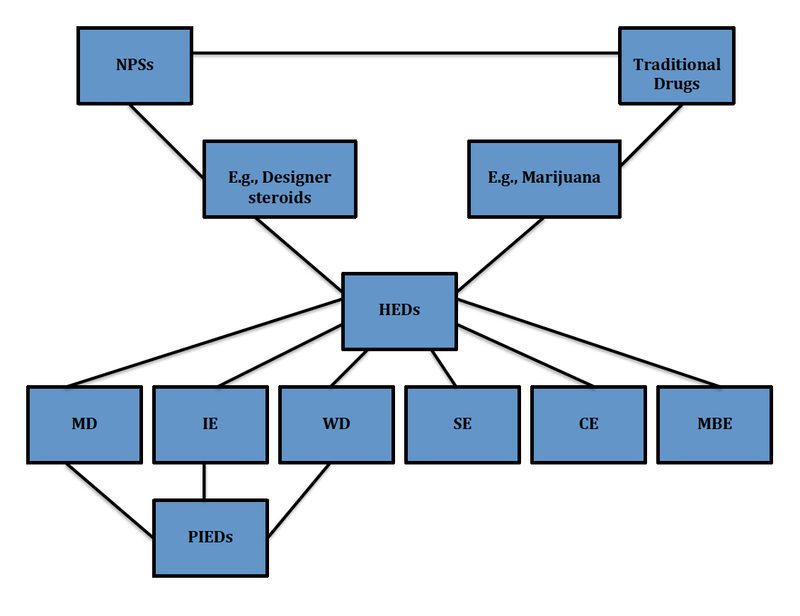 I also argue that the categories are just a general division and that these different enhancers may be used for various enhancement purposes and are not necessarily used for one type of enhancement. I mention Melanotan II as an example as it is mostly used for its tanning effects (image enhancers) but in some cases is also used for its sexual properties (sexual enhancer). Nonetheless, as the main reason for use is linked to it tanning proprieties it is classified as a image enhancer and not a sexual enhancer. In addition, the fact that it is on the WADA’s Prohibited List says very little, as, for example, recreational drugs such as marijuana and cannabis are also on the list, yet these substances do not offer performance enhancing capabilities to the athletes. Therefore, as I also argue in this blog, PIEDs are substances that more generally are used within a sport-context (whether this on a recreational, amateur or professional level). Although cognitive enhancers may be used in sport populations for ‘athletic-performance-enhancing reasons’ in general these substances are not taken for this reason and are predominantly used to enhance other functions in daily life (e.g., the use of Modafinil by pilots to boost alertness and manage fatigue). Thank you again. We really appreciate your feedback.